New Delhi: The Unique Identification Authority of India (UIDAI) on its self-service portal allows Aadhaar holders to lock or unlock their biometric details in the Aadhaar database. According to uidai website, it enables residents to lock and temporarily unlock their biometrics. This protects privacy and confidentiality of resident’s biometrics data. Biometrics authentication uses fingerprint and iris data. 1. Go to UIDAI website- uidai.gov.in. Select ‘Lock/Unlock biometrics’ from ‘My Aadhar’ tab on the homepage. 2. On the page opened enter your Aadhaar UID/VID along with security code. Click ‘Send OTP’. 3. This OTP will be sent to your registered mobile number. Click ‘Submit’. 4. Fill in the required details and click on ‘Enable’ to activate the biometric lock. 1. 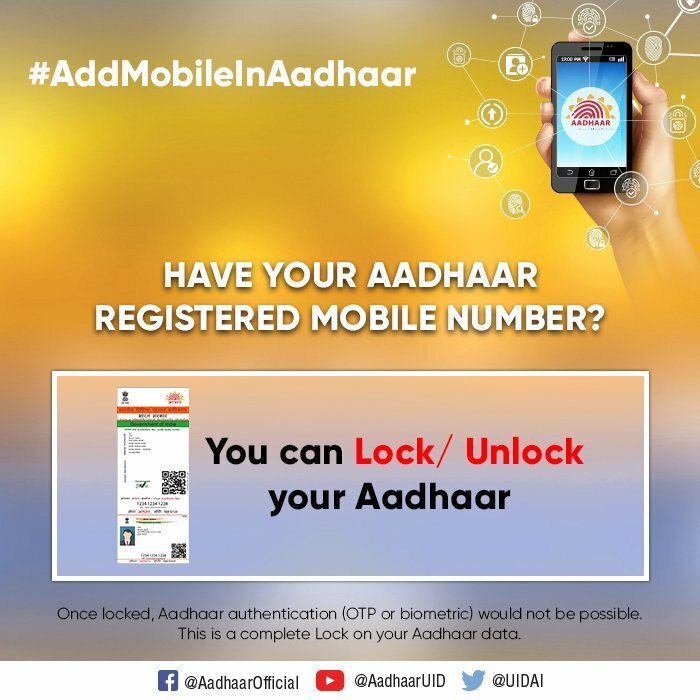 In order to unlock the biometric, log in to UIDAI website and click on ‘Unlock’. 2. Now fill in the required details and click ‘Disable’ to proceed.